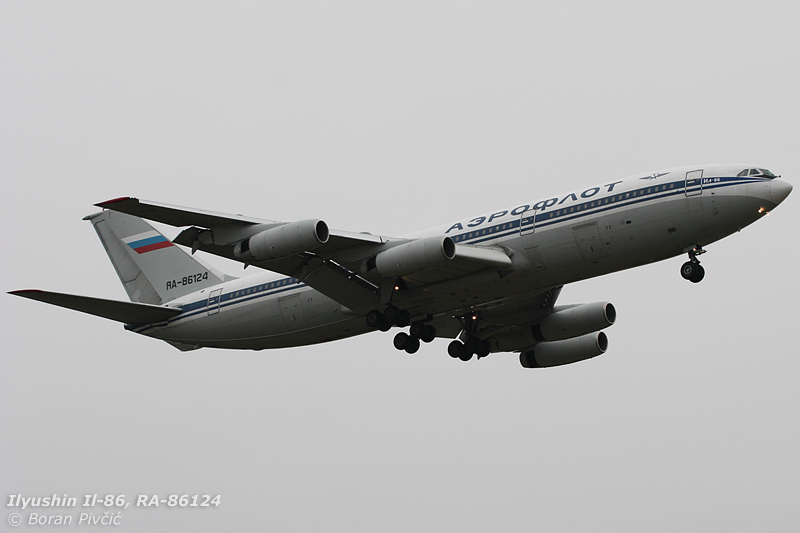 Photo Report/Rare Aircraft – “Schastlivogo puti!”: Two Il-96s at Salzburg | Achtung, Skyhawk! However, while the words “Russian and CIS ski charters” tend to conjure up images of noisy, smoky and flaky Soviet-era jets, the actual traffic picture in Europe (or more precisely, the EU) is quite different. While the mentioned aircraft are still happily flying and making economic sense for their operators outside the European mainland – with cheap maintenance and (in most cases) readily available crews, spare parts and service networks offsetting their higher fuel consumption – the EU’s stringent noise and pollution requirements have banned many of them from operating in European skies. And while many CIS airlines are not losing any sleep over this – flying mostly in the lands of the former USSR – charter airlines that tend to operate a significant amount of flights into the EU have had to adapt and switch over to more modern equipment. Thus in the end these “Russian and CIS ski charters” have actually turned into an almost endless stream of A319/320/321s and 737s in virtually every imaginable variant – all fine and quiet, but hardly that exciting :). And yet, “modern equipment” does not necessarily equate to “Western equipment”, so there still were a couple of gems to be found in the now bleak timetable – two of which were the very interesting, and very rare, Ilyushin Il-96-300 :). Designed in the late ’80s, the Il-96 was conceived as a somewhat shorter, but thoroughly modernized, development of the earlier Il-86, the USSR’s first – and only the world’s second – widebody quad jet. Despite being a quantum leap in many respects over contemporary Soviet passenger aircraft, the Il-86 had still suffered from the same problems that had ailed the rest of the USSR’s aviation industry: a comparative lack of system automation, and inefficient engines. While the former was eventually rectified to an extent – with the Il-86’s original four-man crew eventually reduced to three – the latter issue proved to be much more troublesome. Even at the best of times, the four Kuznetsov NK-86 low-bypass turbofans had to labor hard at high throttle settings to move the rather heavy aircraft, while their low mass flow (as compared to modern high-bypass turbofans) did very little for fuel consumption and overall efficiency – not to mention noise levels. So when all was said and done, the large, imposing Il-86 had boiled down to just a thirsty, underpowered (but nevertheless reliable) medium-range airliner of limited usefulness outside the USSR. The resulting Il-96-300 – first flying on 28 September 1988 – was as much of a leap in its own right as the old Il-86 had been back in the 70s, featuring technologies previously unseen in Soviet passenger aircraft; including a full triplex fly-by-wire control system, more efficient supercritical wings with composite flaps and winglets, and an all-new six-screen glass cockpit conforming fully to ICAO navigation and ATS requirements. But more importantly, the new aircraft had dispensed with “traditional” low bypass engines and gone with the far more modern, quiet and economical Aviadvigatel PS-90A high-bypass turbofan then just entering service. And sure enough, all of this had immediately opened a lot of doors for the new aircraft: a maximum range of 12,000 km (6,500 NM) with some payload restrictions meant you could comfortably reach the edges of your route map – indeed, this was 2,000 km (900 NM) better than the USSR’s long-range champion, the Il-62M – while the quiet, Stage III-compliant PS-90 engines meant you could operate unhampered from noise-restricted major airports. Once there, the ILS CAT IIIa-certified avionics allowed you to land in virtually any weather, while the new FBW system assured you a safe and comfortable ride along the way :). However, while the above should have been the making of a classic success story – at least where the USSR’s dominant airline, Aeroflot, was concerned – the Il-96 had nevertheless ran up against few issues that would ultimately turn it into a bigger commercial failure than the aircraft it was developed from. One of the lesser ones was the very glass cockpit that was (seen as) such a step forward from the Il-86: despite its six-screen, full-color splendor, the Il-96 flightdeck still retained a Flight Engineer, in charge of the aircraft’s numerous subsystems. While this may not seem like a show-stopping issue, it did underline a weakness of the Soviet-designed digital avionics – the still-present lack of automation and aircraft system integration. The system did a good job of presenting flight, navigation and some system data, and as such went a long way to improving safety; but that being the sum total of its functions – and lacking aircraft-wide “reach” and control ability – it was operationally and financially little better than a set of TV screens with some interesting features :). This was all the more evident when compared to Western attempts at “digitalization”, all of which had managed to turn three-man steam-gauge cockpits into simpler and cheaper to operate two-man EFIS units within the same aircraft type (as well as Airbus with the A300, McDonnell Douglas had managed to pull off the same trick with the little-known “MD-10”, standard DC-10Fs equipped with a glass cockpit and operated for a time by FedEx pending the arrival of the full-blown MD-11F. The parallel is even more striking when you consider that the upgraded Il-96-400 – sporting a more modern glass cockpit suite – is a two-man machine!). While it may be lacking compared to similar Western solutions, the cockpit is also symptomatic of another – and diametrically opposed – “issue” that had a hand in the Il-96’s abysmal production run. This one could best be illustrated by comparing the Il-96 with your “everyday” Soviet airliner of the late 80s and early 90s, say a Tupolev Tu-154B. On one hand you have an aging 60s design with a three-man crew, analogue cockpit, and proverbially as much automation as a doorknob. Seemingly built from forged steel – and repairable by a hammer (and sickle :D) – it was designed with toughness rather than economy in mind, reflected too by the simple and reliable, but not even remotely economical, 60s engines out back. Noise and pollution probably didn’t even figure in the design stage. Then on the other end you have a refined modern design with digital avionics, upgraded systems and a wing designed for cruising efficiency rather than sheer survivability, built too using modern state-of-the-art materials. Underwing, you have a new generation of quiet, fuel-efficient, FADEC-controlled engines with little commonality to the engines used by a majority of the Union’s jets. For any (ex-)Soviet airline of the day, undertaking this seismic shift would have incurred a radical reorganization of maintenance, training, fleet management and so on. Spare parts – new and still expensive – would have to be distributed among maintenance bases and destinations, while whole airports may have to be upgraded to properly handle the new aircraft. Flight, cabin and ground crews would have to get to grips with the new aircraft and its systems – and this would take a lot of time… and even more money. This situation was short-lived however; by the end of 1992, things had started moving in a slight upward trajectory again, and the slowly recovering economy had allowed Aeroflot to finally introduce the type into regular service – if anything to cover the increasingly pressing need for a modern, competitive aircraft. But even this was beset by problems: while the economy was indeed recovering, it was doing so at a snail’s pace, and was unable to support anything more than an occasional trickle of new-build Il-96s. Indeed, by the turn of the century, only 12 production-standard -300 series aircraft were made, with an all time high of just three aircraft per year (in 1994) – and no aircraft at all between 1995 and 1997. The seemingly final nail in the Il-96’s coffin, as far as commercial success was concerned, came ironically from the very economy that had started its low-key production in the first place, helping to save it from the garbage heap. By the time the financial situation in Russia (and the CIS) had picked up sufficiently to allow for a meaningful fleet renewal program – around the year 2000 – the market was now open to some serious competition from the West; the Il-96-300, still burdened by all of its issues, was now up against the technological and industrial might of both Airbus and Boeing. And despite being up to 30% cheaper than equivalent aircraft from the Big Two – and being home-grown – the outcome was rather predictable: faced with the technological superiority and operating economics of the 777, the Il-96-300 was once again made redundant. And yet, despite knocking on the scrapman’s door for the second time running, the Il-96-300 had nevertheless managed to cling on – but just barely :). A new lease of life came in 2006 with an order for three aircraft from Cuba’s national airline Cubana – though, to be honest, this had less to do with the Il-96’s qualities as a machine than the fact that it was the only new long-haul aircraft available that could dodge the long-standing US embargo. 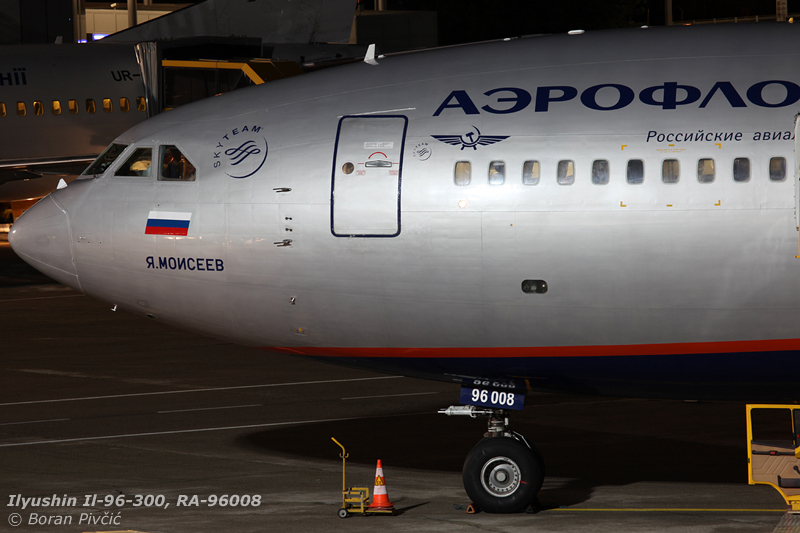 A further infusion of orders came from Russia’s “secondary flag carrier”, Roosiya, which had ordered four aircraft in 2007 – an order still keeping the production line open (which says much about the rate of production). Knowing full well – even before it came face-to-face with the 777 – that a lethargic production run like this could very well be the Il-96’s future, the engineers at Ilyushin had decided in the mid-90s to “pull an Il-96 on the Il-96” and put it on a crash course of serious modifications like they did with the old Il-86 :). 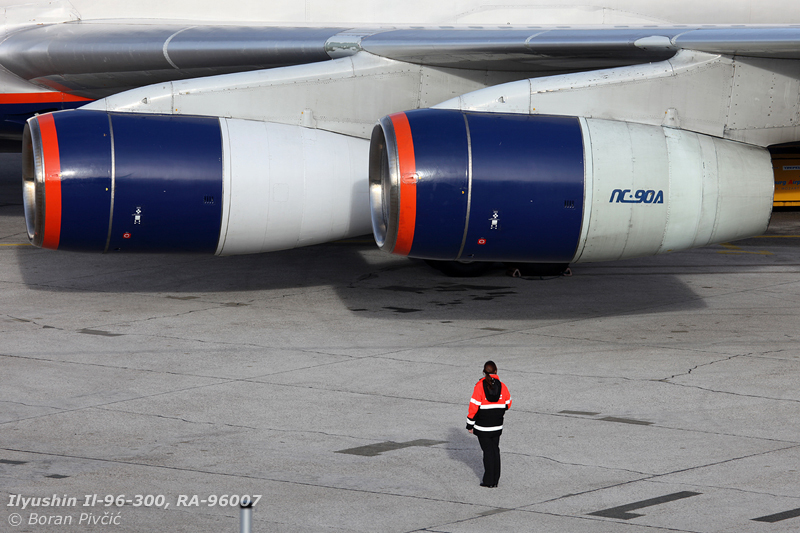 To this end, they stretched the fuselage back to ’round about that of the Il-86 and – in what was one of the precedents of Russian-US cooperation at the time – went overseas to ask for tools to mend the aircraft’s other ills :). These eventually took the form of a highly advanced Western glass cockpit system – which had dispensed with the Flight Engineer once and for all – and Pratt & Whitney PW2337 turbofans to replace the still not-as-efficient PS-90As and give the aircraft a shot on the international market. Designated the Il-96M – for modifikovany, or modified, a common designation on Soviet/Russian/CIS aircraft – the aircraft had stood quite a good chance at being a viable local alternative to Western designs… right up until the still fluctuating economy in Russia caused American investors – who’d be financing the avionics and engines – to pull out of the program. So on all fronts, it was “Economy: 3, Il-96: 0.5”. At this point, the Il-96 started making a name for itself not for its somewhat troubled, yet essentially solid design, but for its sheer refusal to give up and die :). Having seen what the Il-96M – and its projected cargo variant, the Il-96T – could have been, the Ilyushin team dreamed up the Il-96-400, and its cargo version, the Il-96-400T. In essence, this was an Il-96M fuselage that reverted back to the PS-90 engines (now in their A1 variant), but had included a far more modern and capable Russian glass cockpit that, like the one on the Il-96M, didn’t require a Flight Engineer. Back in Salzburg, we counted ourselves very lucky that we’d managed to catch two – and in a single day at that 😀 (that’s essentially 12% of the entire flying fleet). 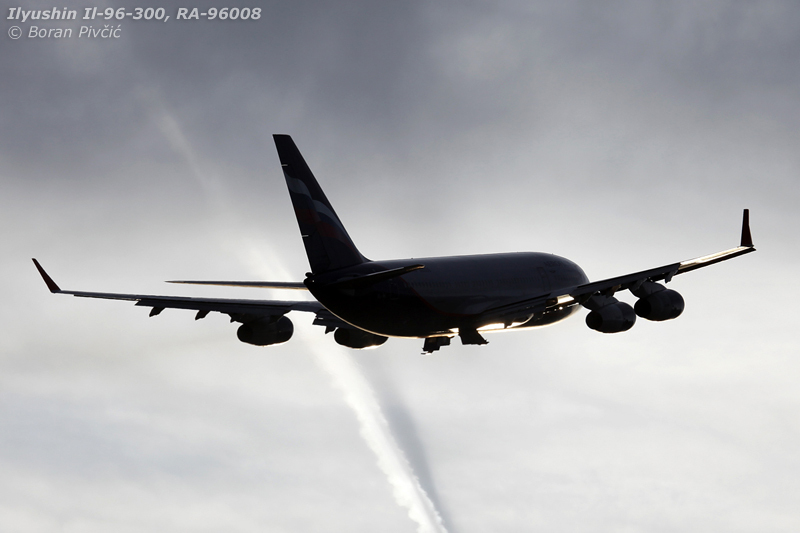 The aircraft in question were RA-96007 (mfd. 1992) and sister-ship RA-96008 (mfd. 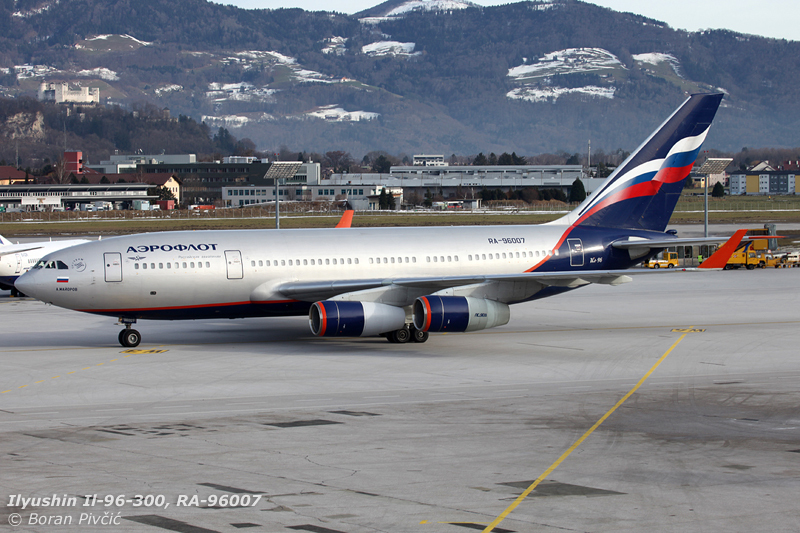 1993), both stock Il-96-300s operated by Aeroflot as ski charters from Moscow’s Sheremetyevo airport. Of interest here is the unique registration system adopted for low-production aircraft in Russia/CIS: the first two digits represent the type, and the remaining three the aircraft’s place on the production line (note, this does not equate directly to the serial number; RA-96007 for example is the 7th Il-96 ever produced, but its serial of 74393201004 denotes it as the 4th production example. There can also be some major discrepancies: the Il-86 featured in the previous photo is registered RA-86124 – but there were only 106 produced, including three prototypes. 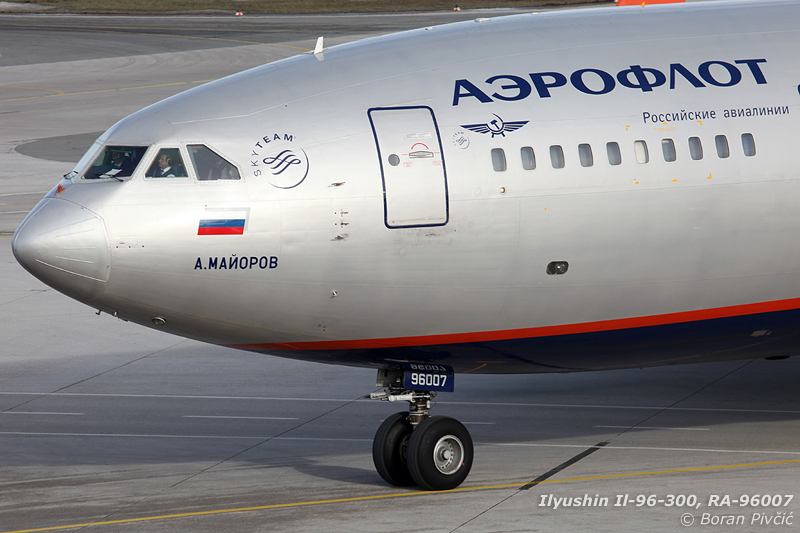 The aircraft is actually the 92nd production example, and the 95th Il-86 produced). Cleaning her up after a spirited departure from RWY 16, with another high flyer providing a suitable background. "Schastlivago puti" - or have a nice trip - to them all! Pingback: Photo File – Cold War Mk.II: 727 v Yak-42 @ LDZA | Achtung, Skyhawk!